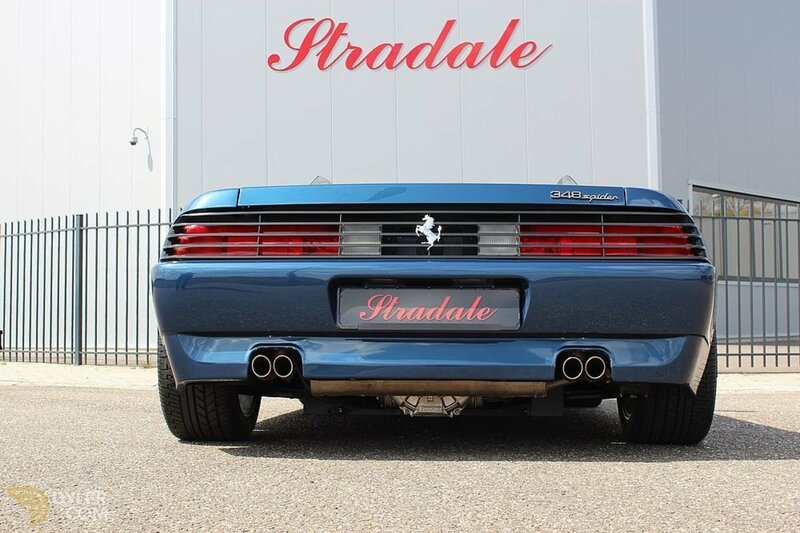 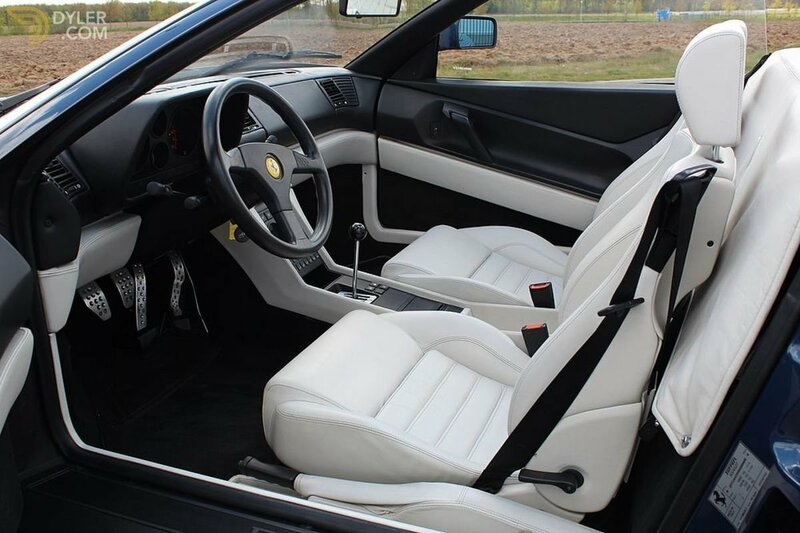 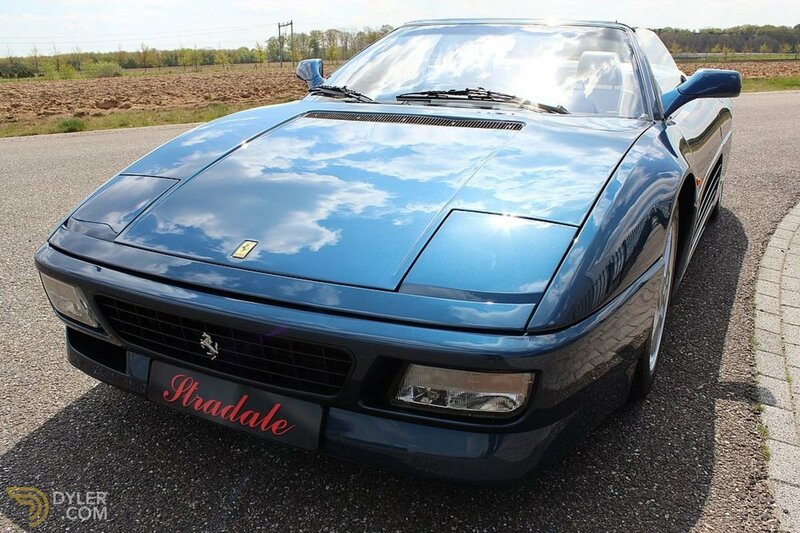 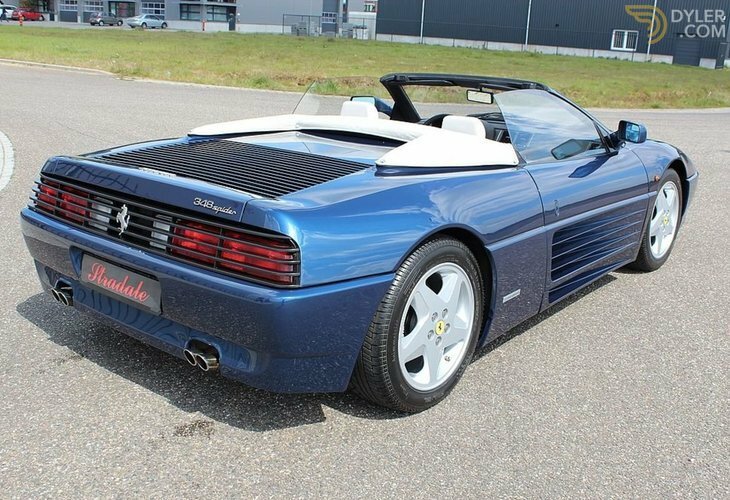 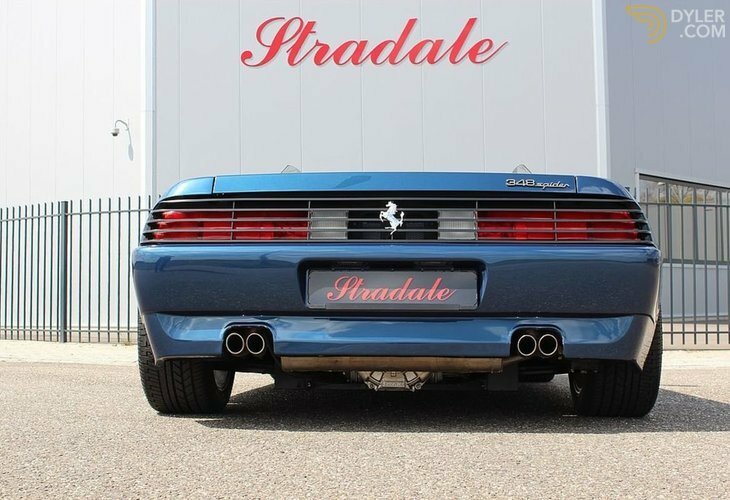 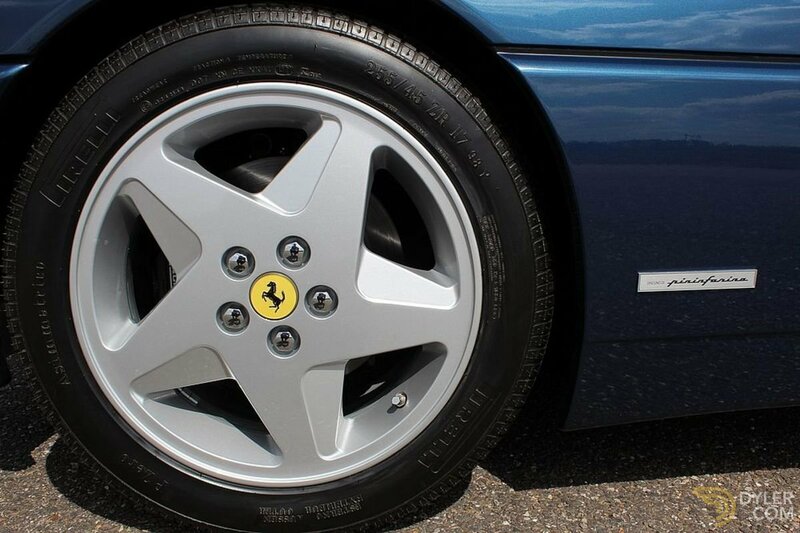 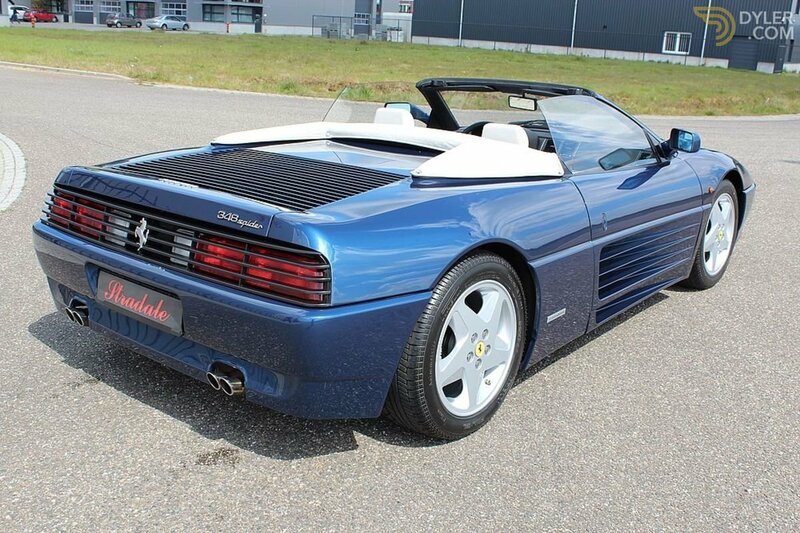 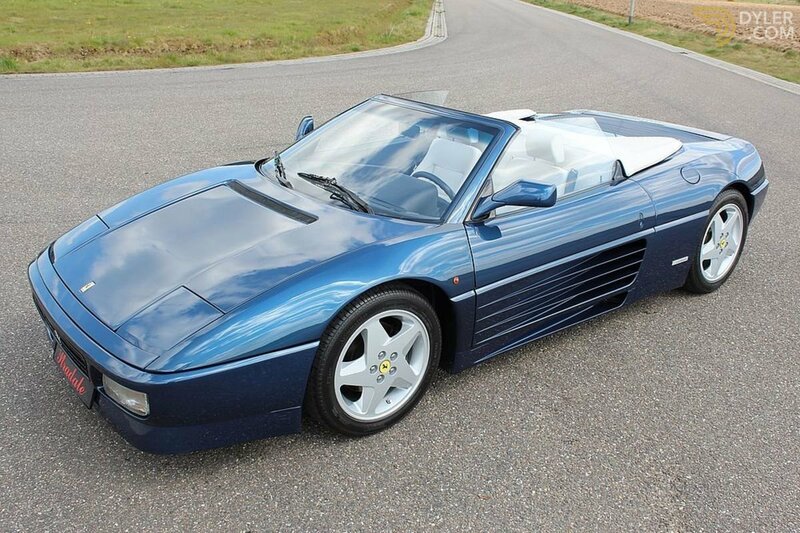 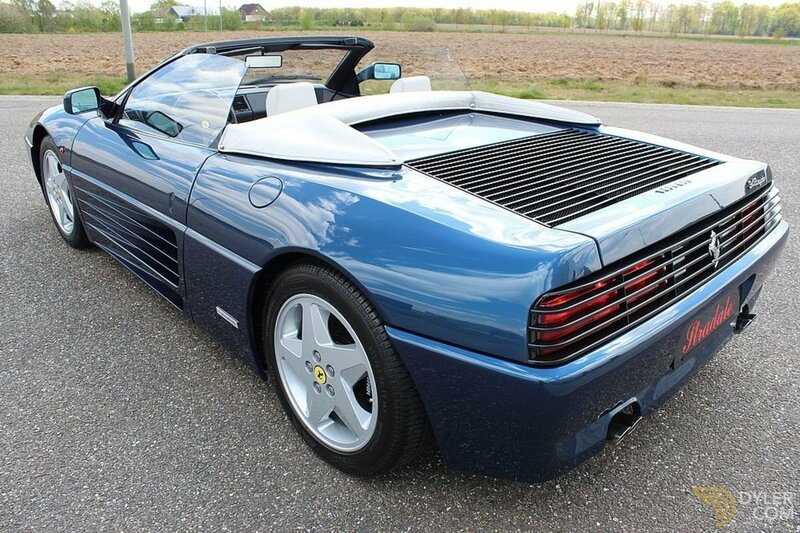 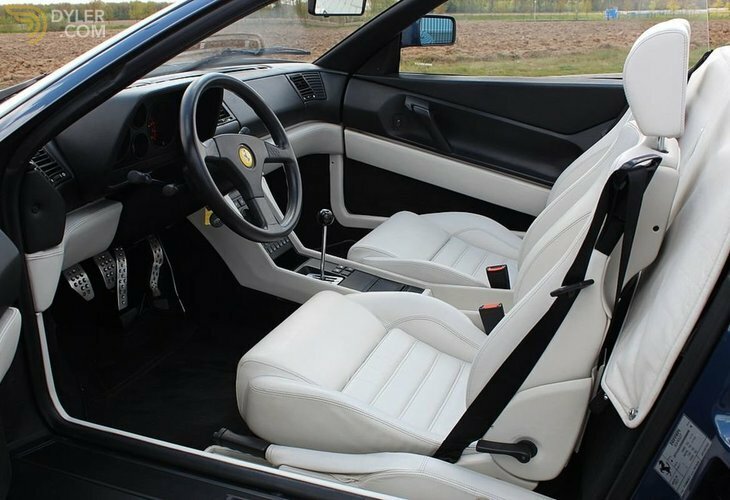 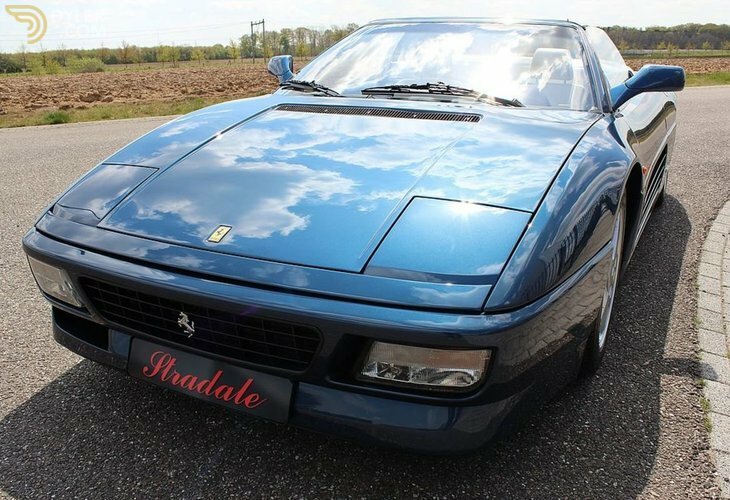 The Ferrari 348 was the logical successor to the highly successful 328, with strong influences from the Testarossa. The 348 is therefore often referred to as the little brother of the Testarossa. 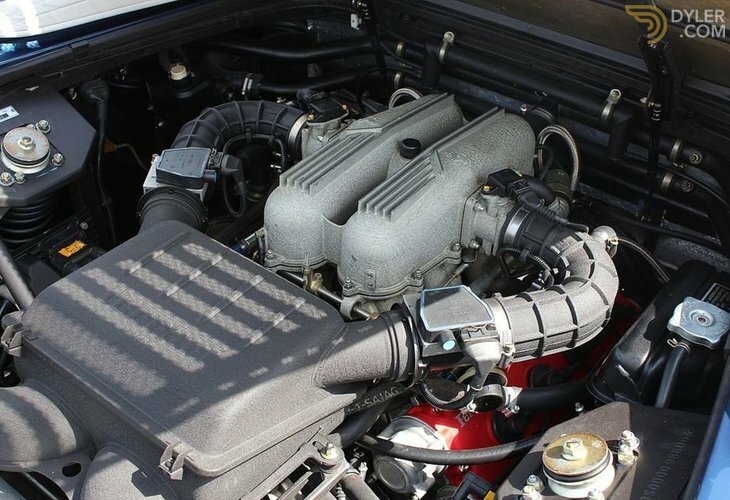 Built from 1989 onward, the 3.4 V8 delivered a power output of 300 hp. 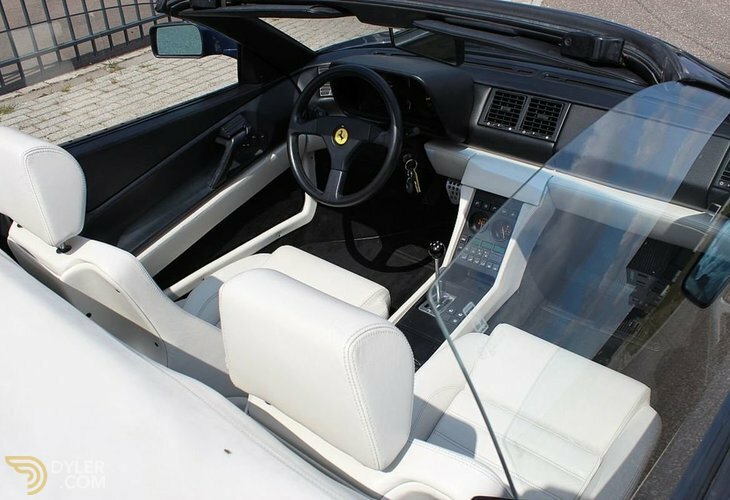 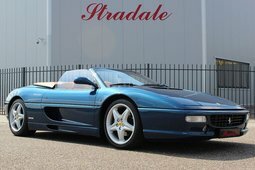 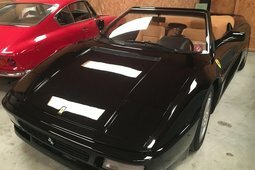 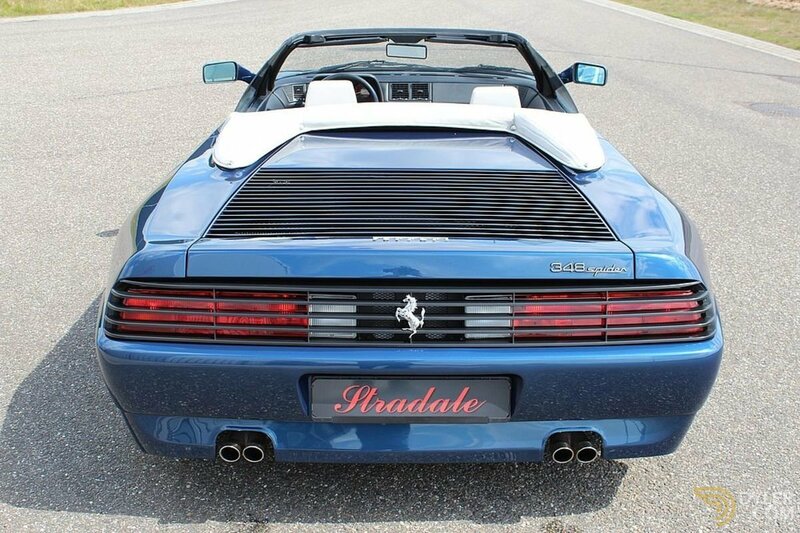 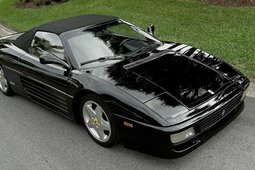 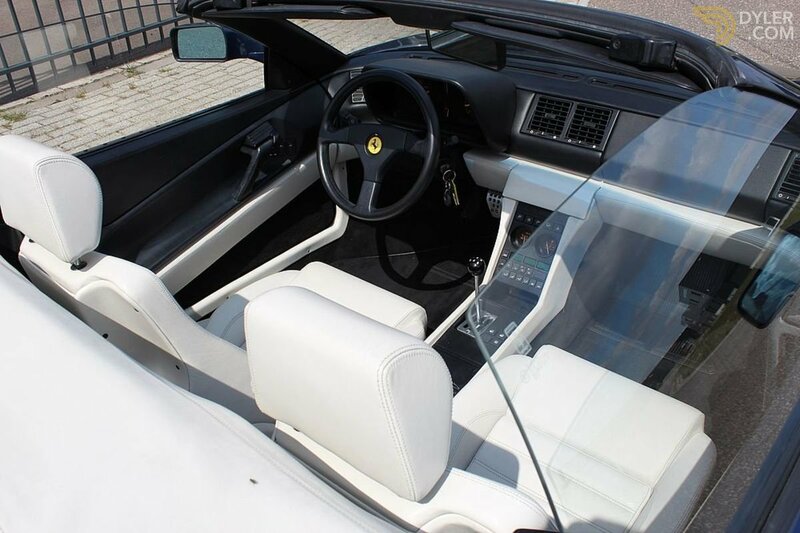 In 1993 Ferrari introduced the convertible and the coupe and targa were modified both optically and also mechanically. 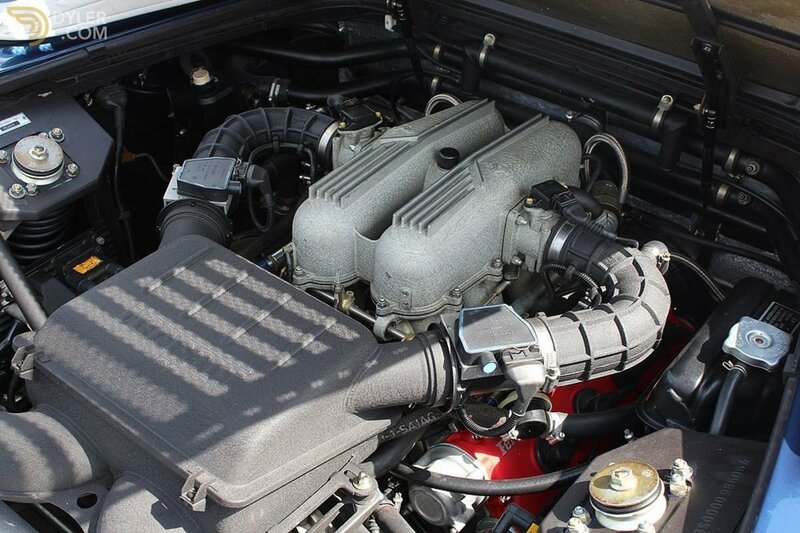 The power rose to 320 hp. 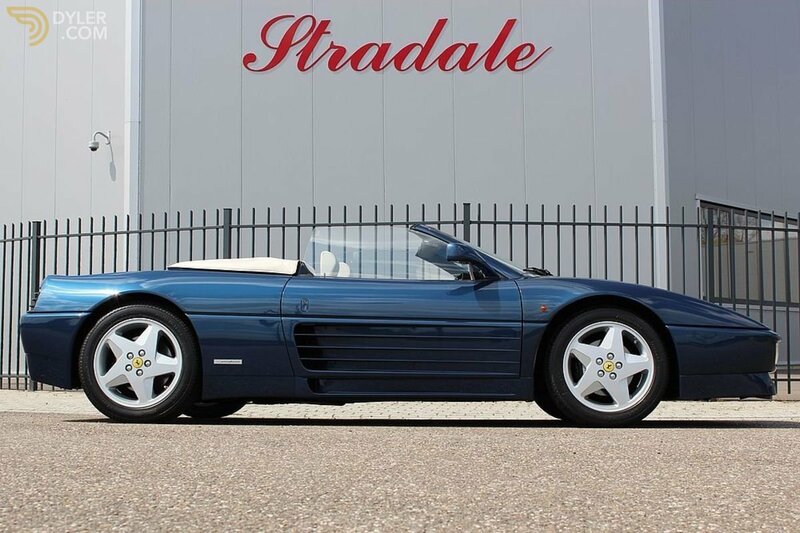 Of the Spider only 1090 examples were built of which a large proportion was delivered to the US market. 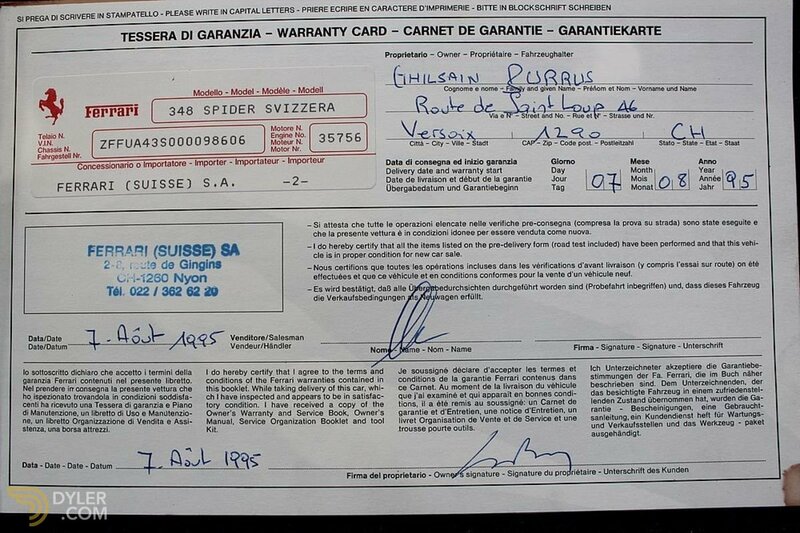 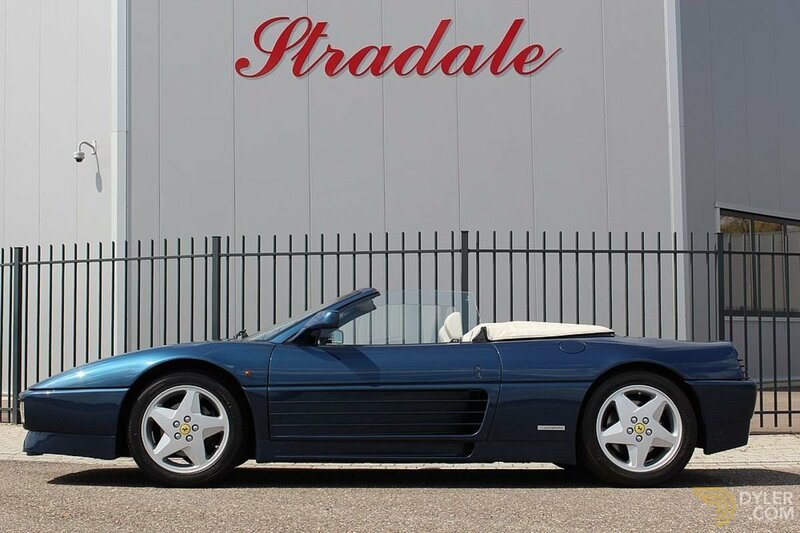 Our brilliant Spider was originally delivered to Switzerland in 1995 and had two owners from new. 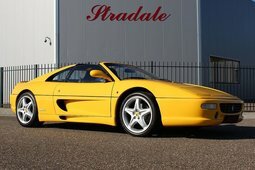 The 2nd owner took the car back to Belgium. 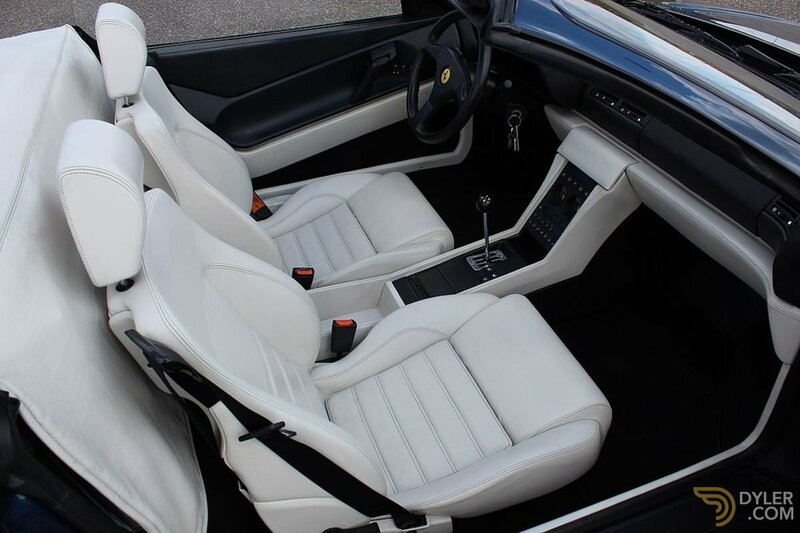 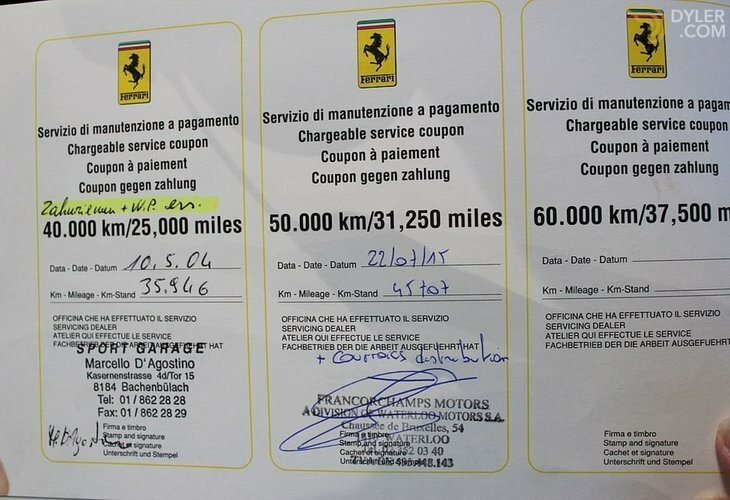 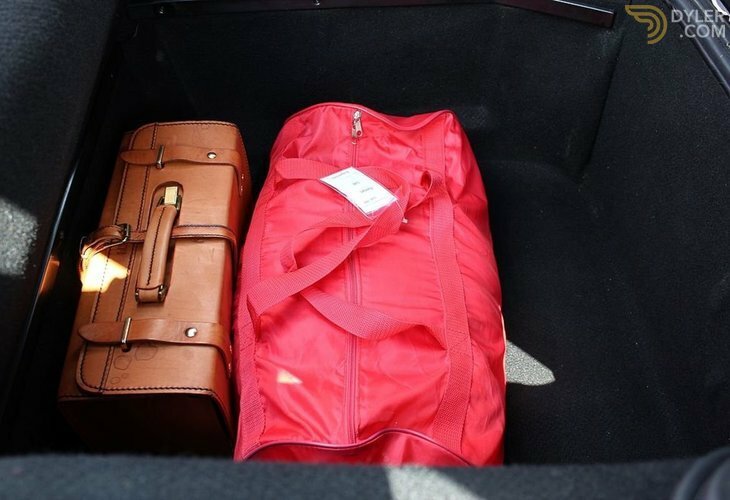 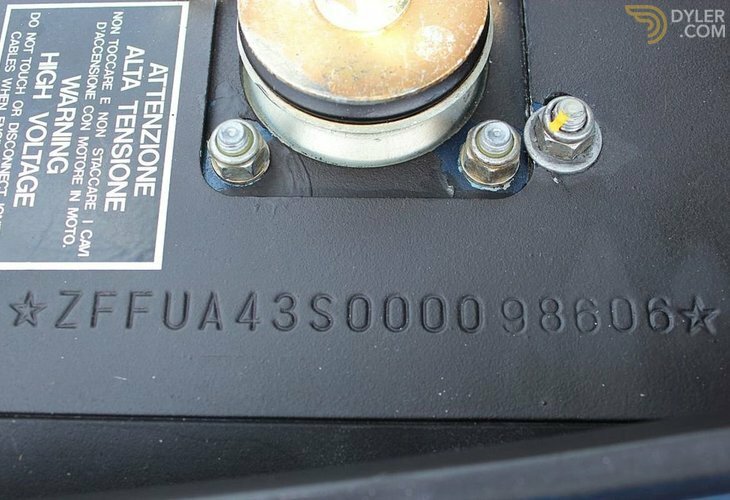 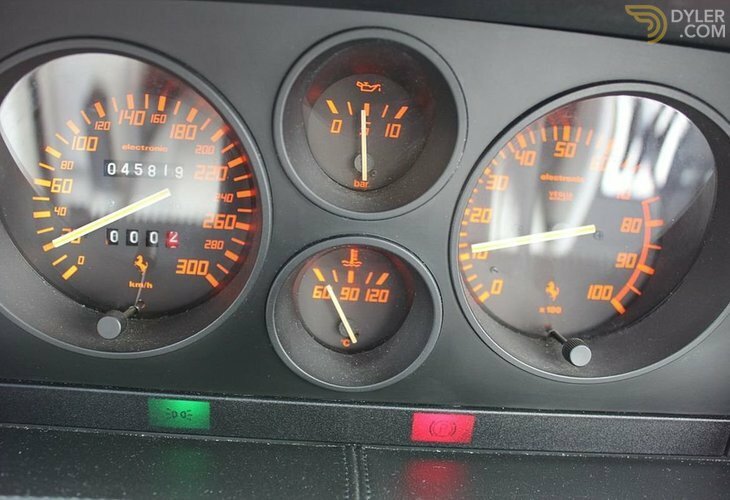 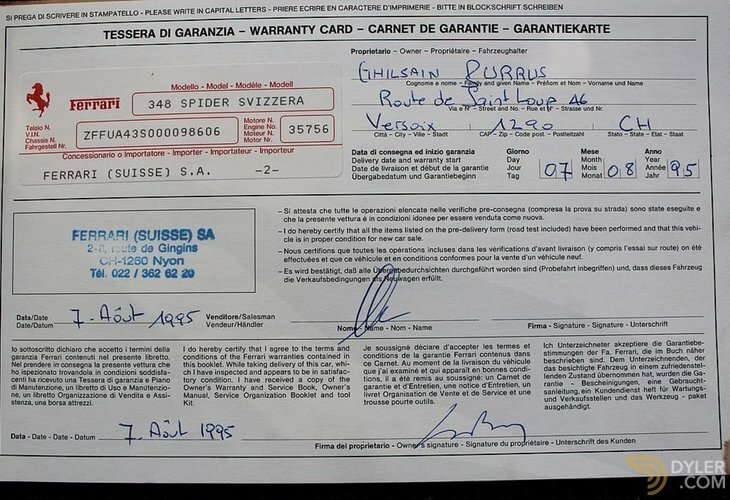 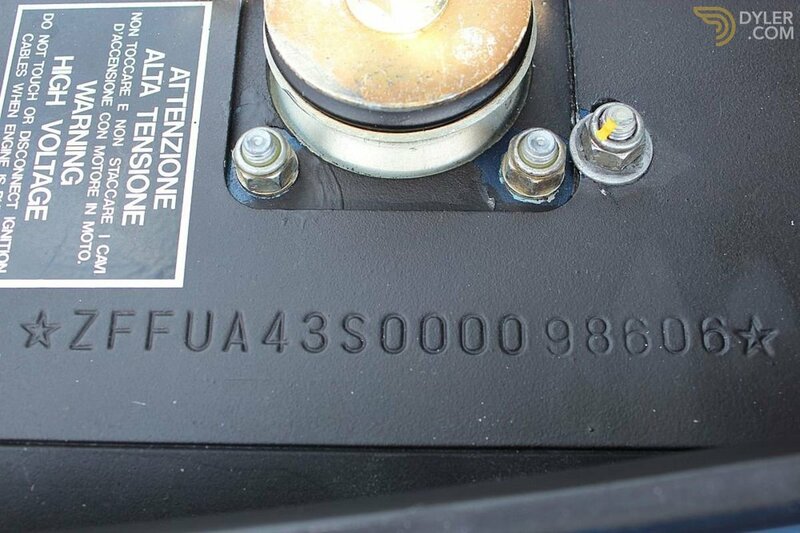 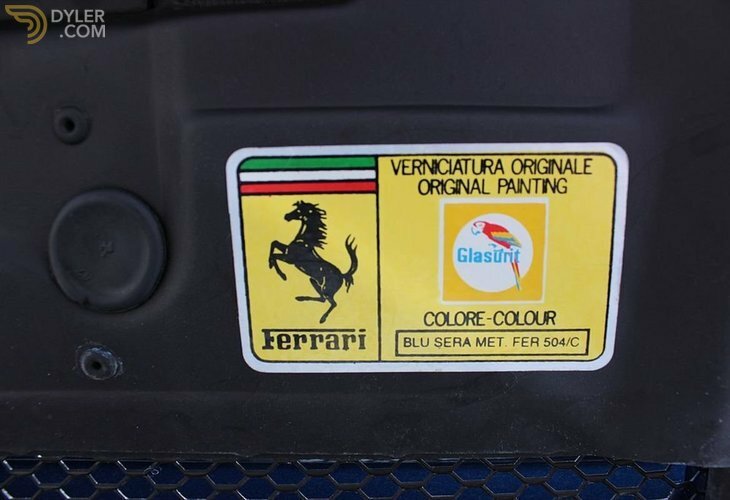 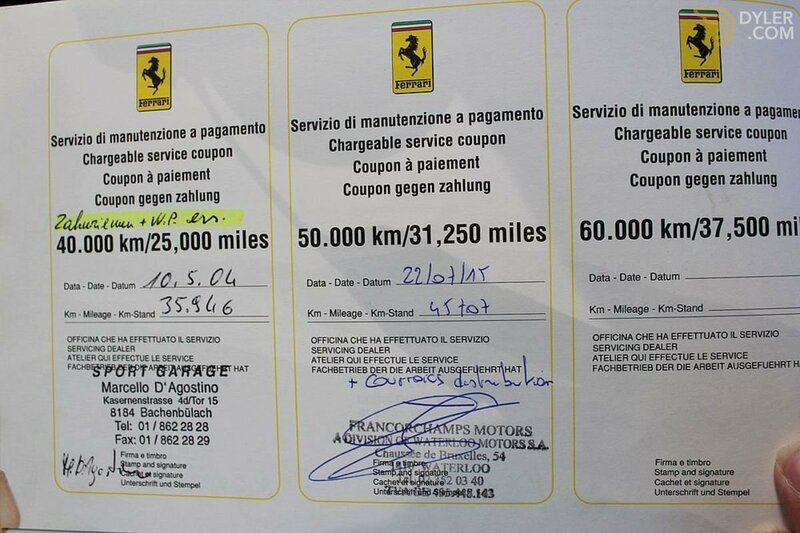 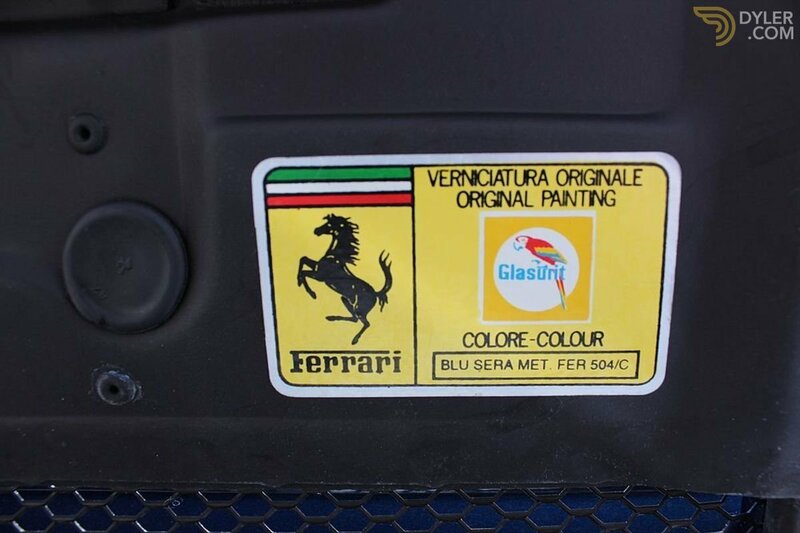 The car was fully serviced end of 2015 and has directly undergone classiche certification. 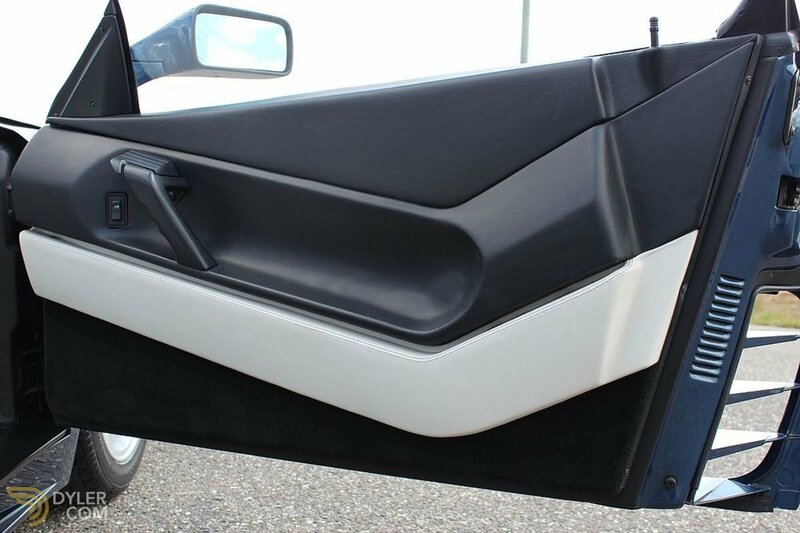 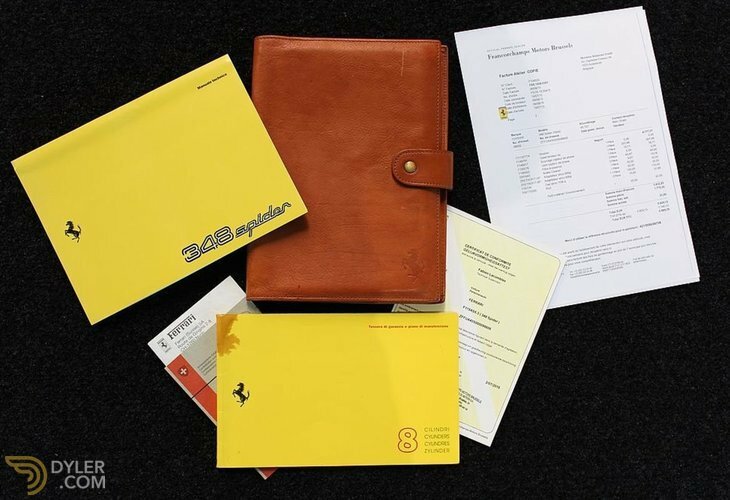 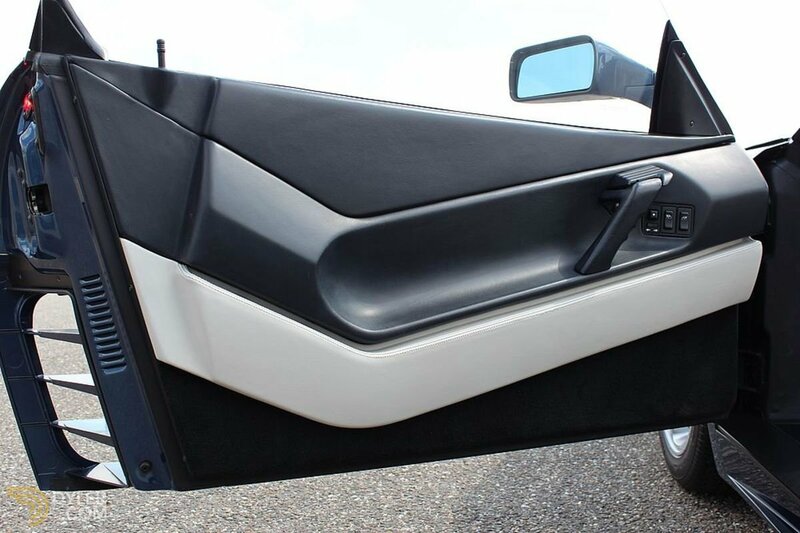 The interior has been thoroughly treated with the sticky plastic parts removed and the leather fully addressed as well. 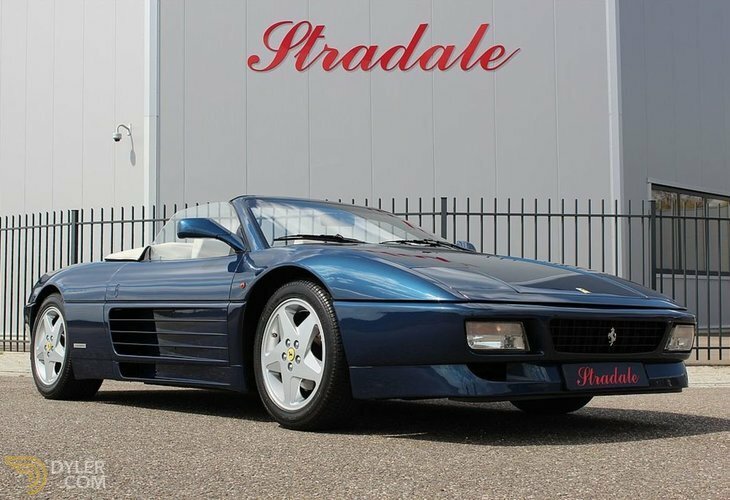 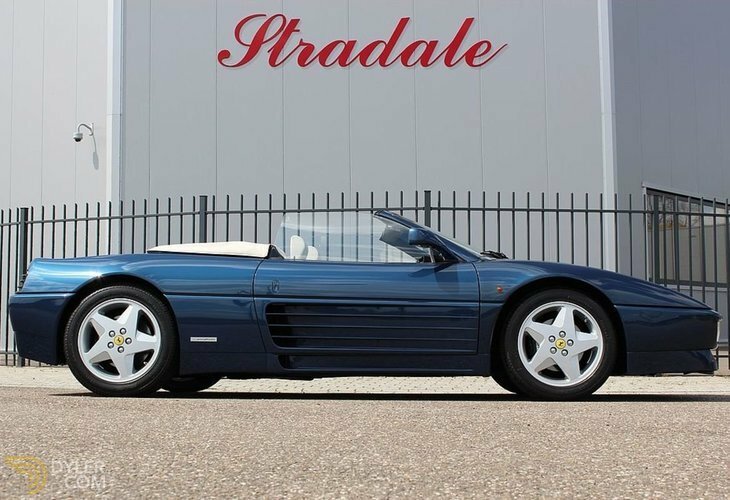 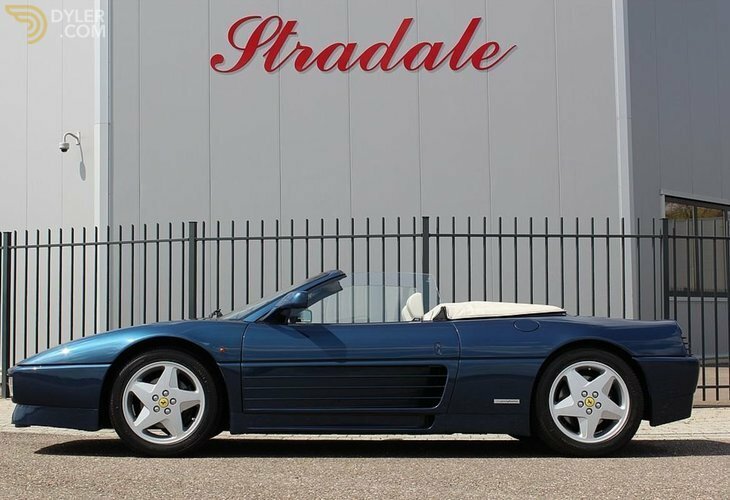 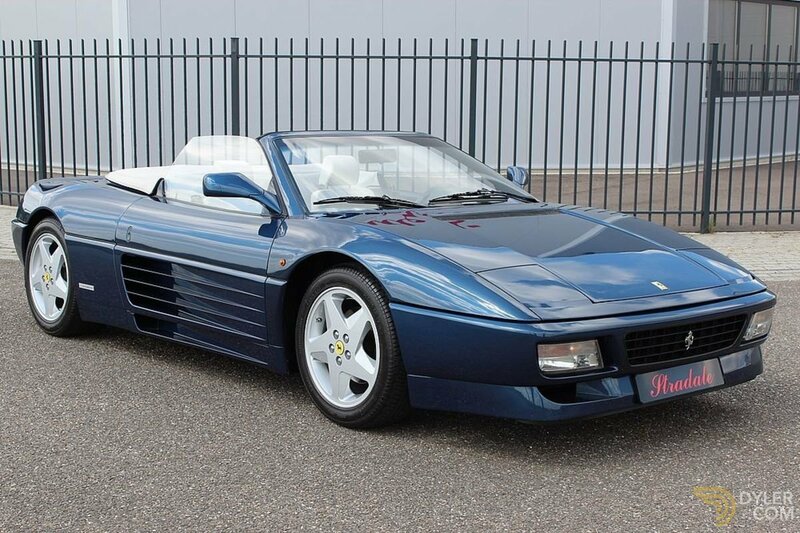 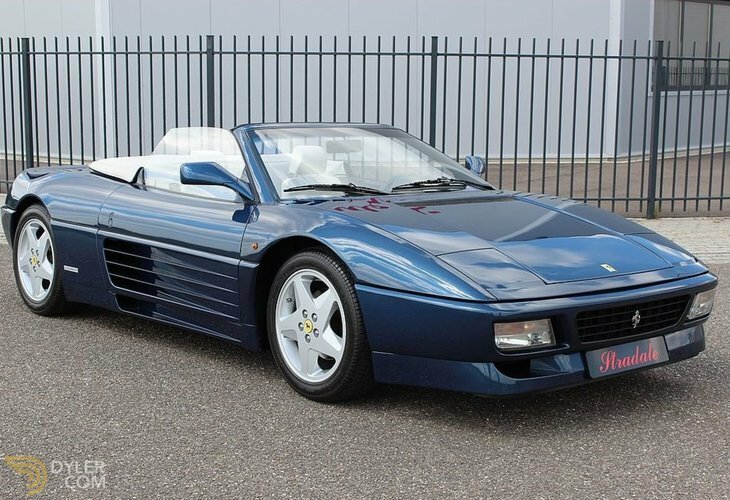 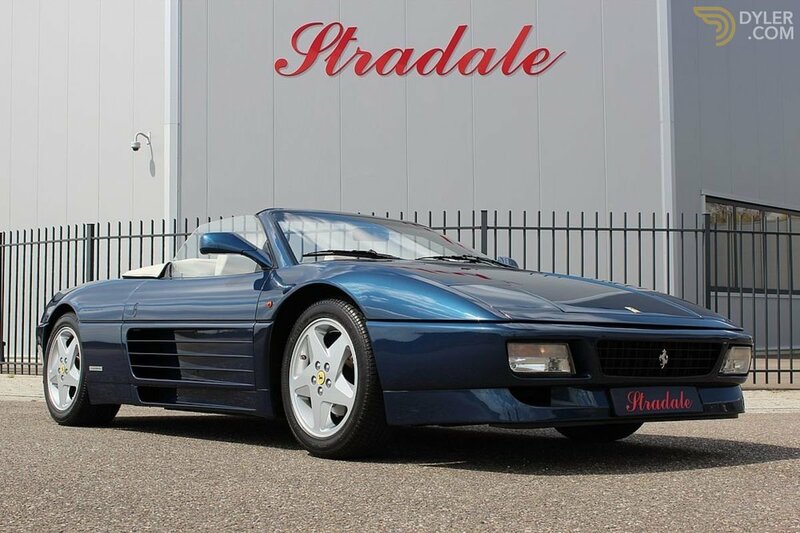 With a mere 1090 convertibles built of which many US versions and over 90% of the spiders in red or yellow this Blu Sera is a very exclusive car that will always retain its value. 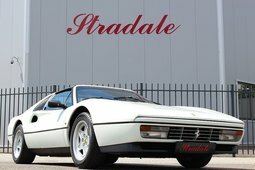 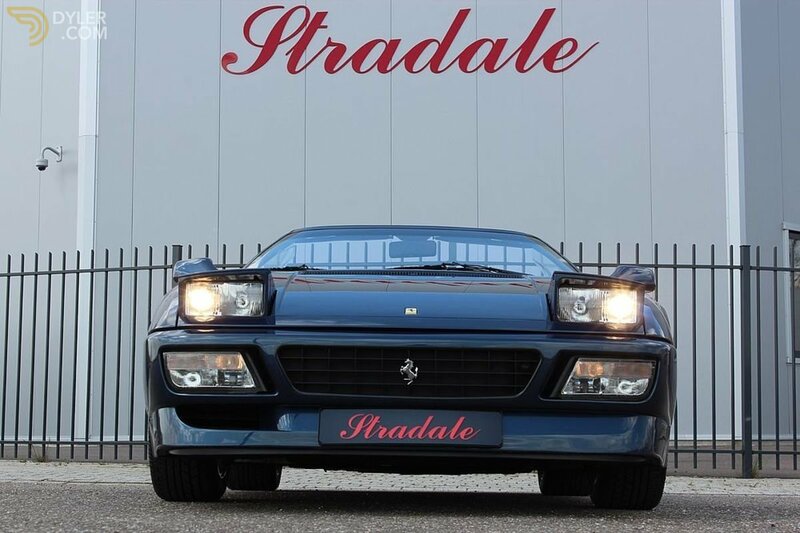 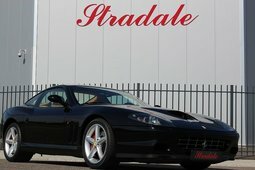 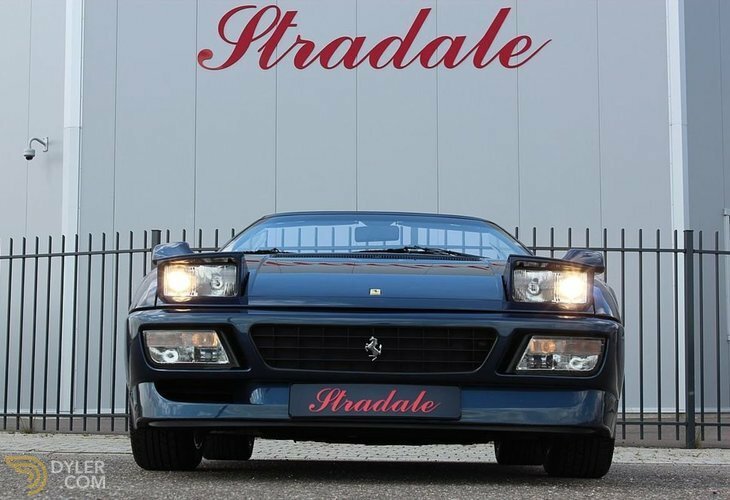 More Vehicles From "Stradale Vintage Cars"